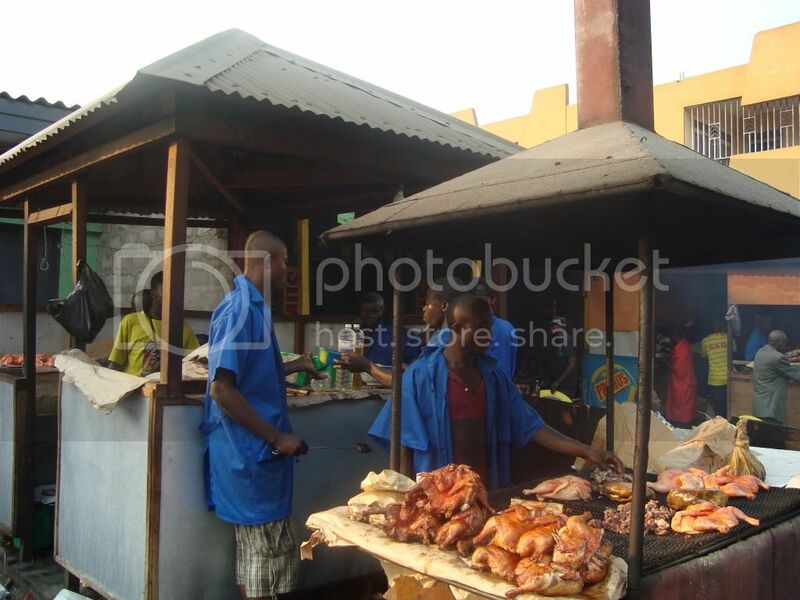 As the local economy crashes, impromptu roadside restaurants -- what the Kinois call Malewa -- have spread at an amazingly rapid rate throughout Kinshasa, according to this article from Le Potentiel (in French). One local mechanic reports that he can get a filling hot meal for 500 CDF -- or about 50 cents. If I'm understanding the French correctly, some of the Malewa stalls are really no stalls at all, just open-air affairs. Others are multi-story illegal constructions. And others are on the sidewalks, wedged against the walls of buildings. One restaurateur told Le Potentiel that demand is so strong she sometimes cooks six different dishes every day. She employs two young girls to help with the cooking and preparation, paying them each $1.50 a day. Of course, even the busiest Malewa restaurants have to be worried about health issues. To prevent the spread of bacteria, one doctor told the paper, the best thing Malewa purveyors could do is wash their hands often. my name is Antonello Guerrera, I am an Italian journalist on the Foreign desk of the Italian paper La Repubblica, Could you please send me an email at a.guerrera@repubblica.it with your contact details? I would need to interview you asap, when possible!